Every woman’s dream is to have long, beautiful nails, but this is not an easy task to accomplish. With a successful manicure, the nails can turn into the most valuable accessory to your outfit. Care well for your nails and they will always be trendy, irregardless of their length or decoration. 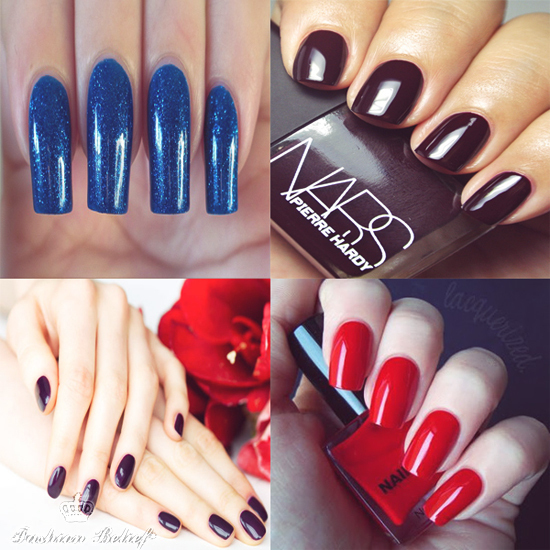 One of the easiest designs for your nails is to paint them uni-color. This is a simple, but elegant solution. It’s appropriate for every day, as well as various social functions. This design will never fail you. If you choose this simple manicure, you can be more creative with the shape of your nails. They can be oval, square, round or pointed – the choice is yours. This design also looks good with any outfit. Plus, it will always be trendy. Another solution is the French manicure. This is another design that will never go the way of the horse and buggy. Keep it simple, with classic white tips, or experiment with the colors. You can choose any color you want for the tips. 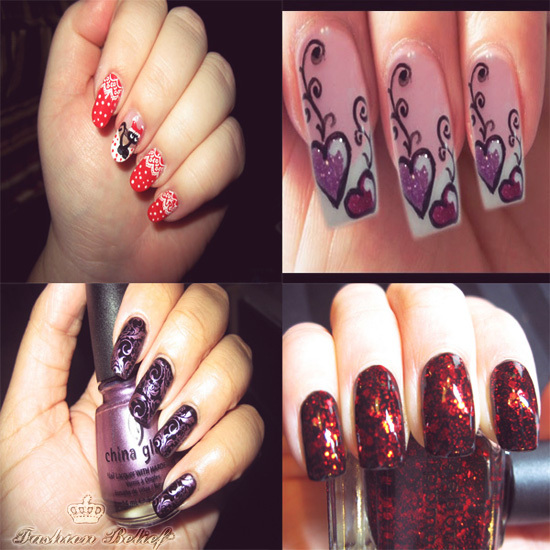 You can also apply two or three colors, depending on the length of your nails, add glitter or stones. 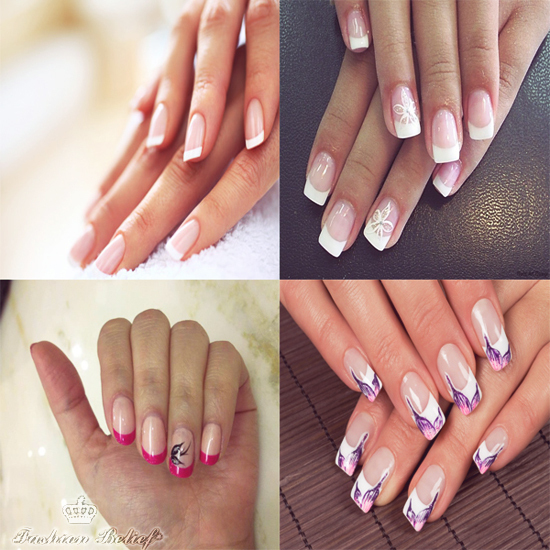 It is also very trendy to have simple French manicure, with some decoration on only one or two nails on each hand. This type of nail art design, just like the uni-color manicure, is suitable for every occasion. Yet another option for nail art design you have, is to choose decorations according to the season, holiday or special occasion. Here the choice is limitless. The nail salons can offer you a huge catalogue of the designs they offer. We would suggest to pick this kind of design only for special occasions, like an anniversary, a Christmas party or any other type of gathering, where you can be more creative with your appearance. Every woman wants perfect results of her efforts in manicure. Remember, that in order to achieve this perfection, you must care for your nails regularly. If you are already blessed with strong and beautiful nails, the challenge is to preserve them in this condition.